KESTENBAUM: And in an additional should be 1 percent. SMITH: Yeah. 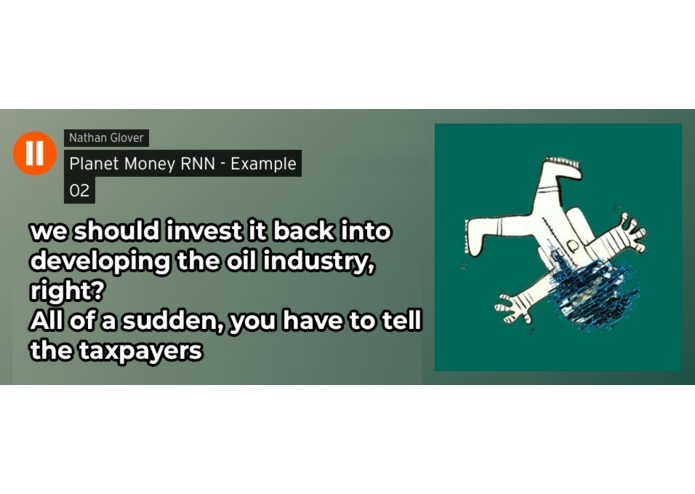 And it's a little bit is the oil curse is a half and seement the oil curse. The end of that the resource curse. KESTENBAUM: That's like a 50 percent error or something. SMITH: Yeah. And it's not even the first numbers of the siduelven and how to the fin in this month that's happening right now, you know, and the manage. 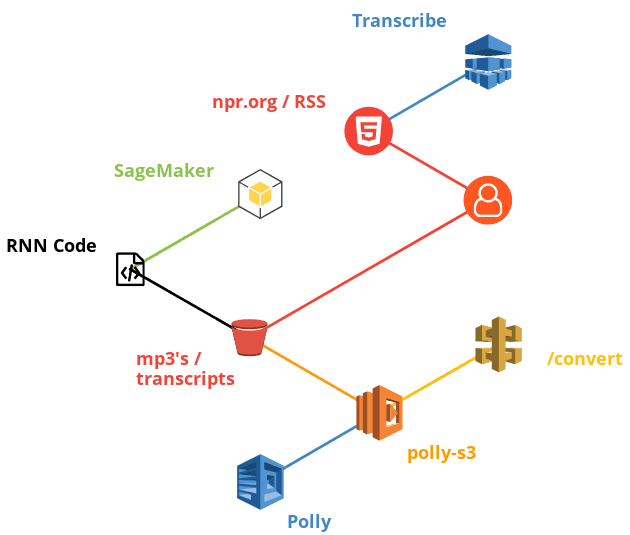 Sync the transcripts to the chosen S3 bucket. If you would like to Scrape these yourself, you can use the scrape.ipynb notebook in the coming steps. Fill in the sagemaker-notebook-params.json file with your desired settings. Upload the contents of notebooks/ to your SageMaker root directory. We'll be transcribing one episode for our example, in order to do this we'll have to upload a copy of an episode to S3, then trigger a Transcribe Job. 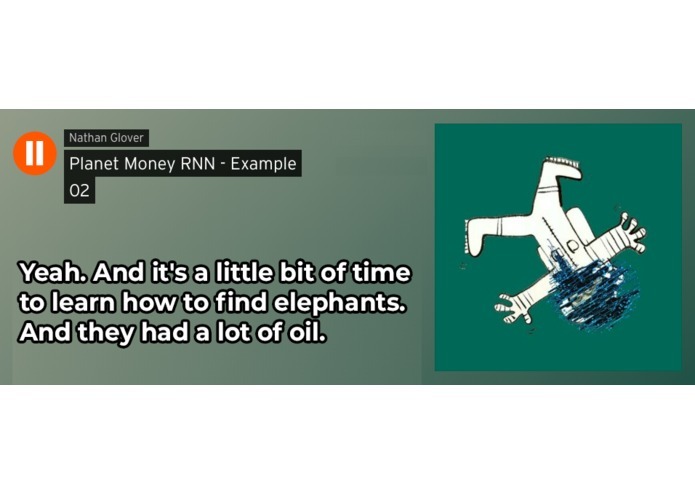 This is our own spin on the prolific generative text deep learning models that have been made to write tweets, write new episodes of F.R.I.E.N.D.S and even generate song lyrics. We decided that podcasts are kind of popular right now, so we wanted to create our own. 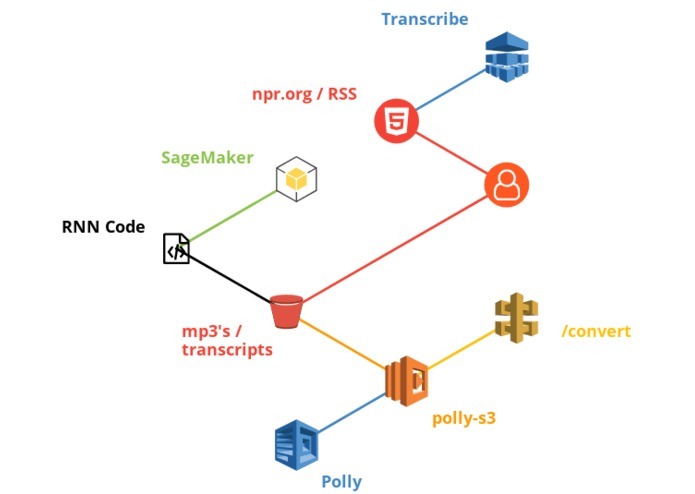 Rather than go to the effort of being interesting or learn to talk into a microphone for more than 5 minutes, we decided to use a computer to generate a podcast script and have AWS Polly read it out for us. We used AWS Transcribe to injest audio from other podcasts with far more interesting hosts, outputting a text transcription. This text transcription was used as training data for a deep learning generative text model based on textgenrnn. 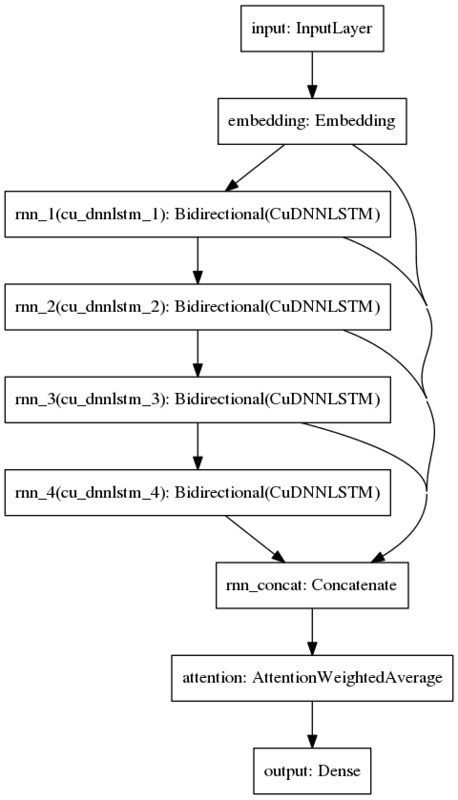 This model was then used to generate a simple 20 line script, which was read by two announcers using AWS Polly. We limited ourselves to using a single episode as training data because we were designing this to be unintentionally funny with the errors that it made rather than trying to create something of real value. We used our favourite podcast, Planet Money as the training data, but this process could easily be applied to any other podcast. Due to time constraints (We only started this two days before the deadline) we were unable to request GPU instances from AWS Support in time, so rather than using a 'ml.p2.xlarge' instance via SageMaker, we ran our model training process on a laptop GPU (Nvidia 970m). Using the Planet Money episode "Norway Has Advice For Libya" as training data, this process took 182 seconds to complete 25 epochs, which is perfectly reasonable for a laptop GPU from 2014. AWS Pipeline including the automation of all the resources we used. 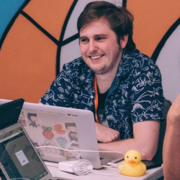 Wrote the APIs and Lambda that communicate with the AWS Polly service.